By looking at an arrangement of fresh flowers, you might not think about all that those flowers went through and all of the people that were involved to get them to your door. Each and every flower has a story, as do the people who care for them. This is why we are giving Brant Florist customers and readers a special sneak peek behind the scenes to get fresh flowers from all over the world into your unique flower arrangement. 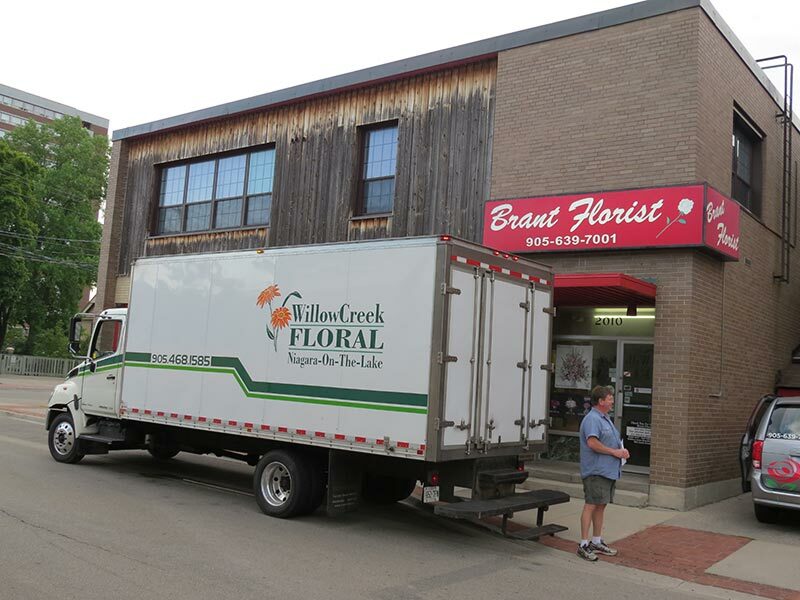 Brant Florist receives their first shipment of the day each weekday bright and early about 6:45am. The team is always at the shop to receive the trucks to ensure that the flowers are cared for immediately. 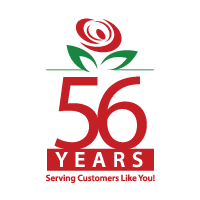 Over the years, Brant Florist has worked with various partners locally and internationally. We have now created long-standing relationships with the best growers, greenhouses, importers and wholesalers in the world. 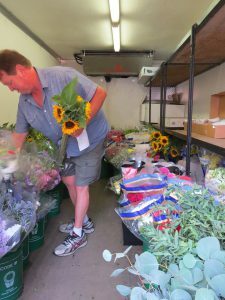 This includes Willow Creek Floral, owned by Robert VanNoort, servicing flower shops from Niagara and throughout the GTA. 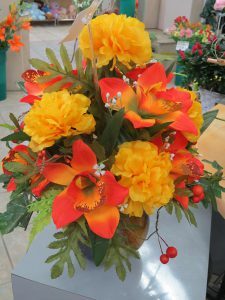 Robert grows both fresh flowers and plants in his Niagara area greenhouses. Crops include different varieties of lilies, alstromeria and other seasonal flowers. maintain their freshness and lengthen the life in your bouquet. Removing the leaves from the stems helps to improve the vase life of flowers because leaves will foul the water. It also reduces the natural ethylene gas given off which causes flowers to age quicker. There are some flowers, such as lilies, that can take up to one week just to open up. We don’t want these types of flowers to show up for someone’s wedding or event unopened. To avoid this we like to be prepared. 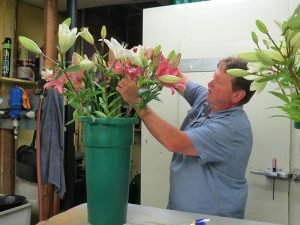 Tim explains that the flowers will open for about two to three days in the shop store front on display, and then will be moved to the refrigerators to help slow down the opening process. This is what florists refer to as stasis mode. “Since we are managing perishable products, careful planning and attention needs to be paid to ensure the best quality of freshness for the deliveries of bouquets for our customers”, says Tim. 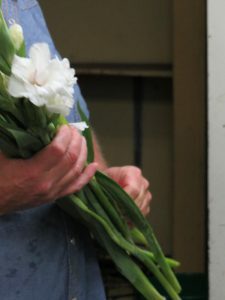 Once the shipment of flowers has been trimmed and placed in either the fridge to slow down the aging process, or out front to quicken it up, the designers come into the shop to check out the delivery of fresh flowers they get to work with. Brant florist floral designers creating beautiful flower arrangements! 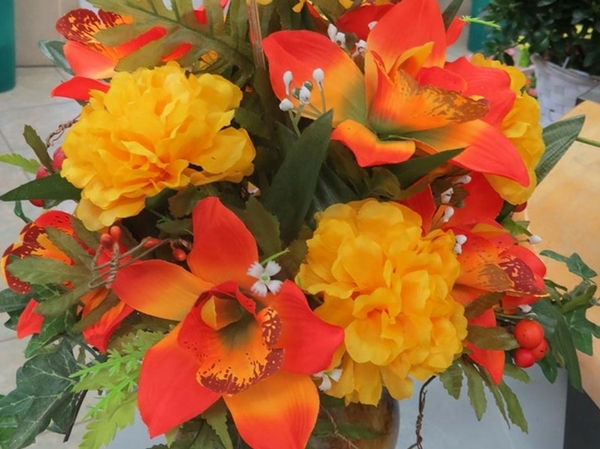 The designers set out to create the arrangements for the orders that come in for the day, again, being very careful to use flowers within their “sweet spot” so that the recipient can enjoy their flower arrangement for as long as possible. One of our one of a kind crafted flower bouquets ready for delivery! Once the designers have arranged the flowers into a beautiful bouquet, they are ready to be delivered. The number of deliveries per day vary depending on the time of year. On average, Brant Florist does about 30 to 50 flower deliveries per day. 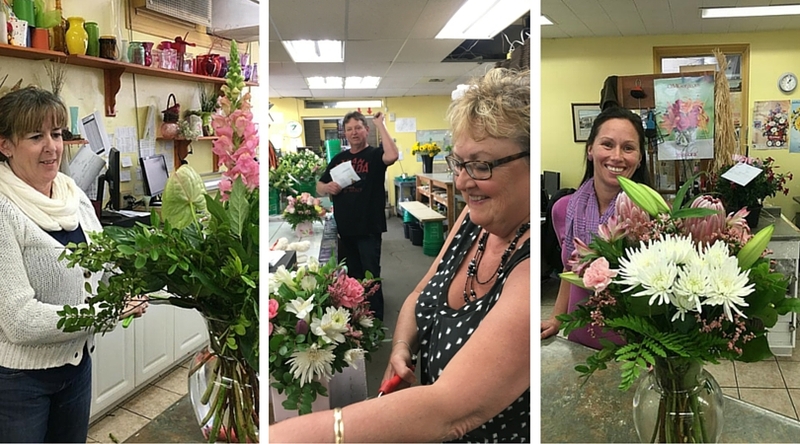 The Brant Florist Team works extra hard to time the deliveries perfectly so they arrive right when you need them. “We take pride in our customer service efforts,” explains Ken Bolt, who has managed the family business for over 50 years and has now proudly passed on to his two sons. Give us a call at 905-639-7001 or send an email to gifts@brantflorist.com to place an order for your very own fresh flowers!